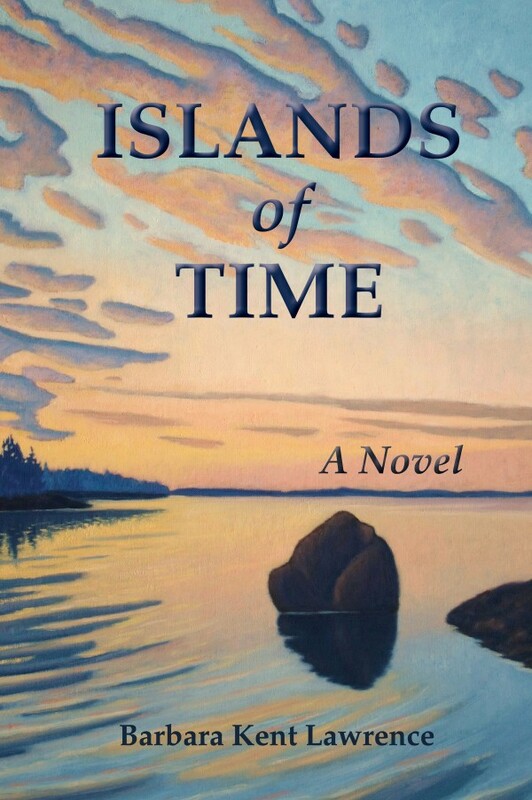 “Islands of Time,” by Barbara Kent Lawrence, May 2013, Just Write Books, 225 pages, paperback, $14.95, ebook, $7.99. During the summer of 1958, 14-year-old Rebecca “Becky” Granger found herself on an island off the coast of Maine and not quite fitting in. The other “summer kids” were racing sailboats, while Becky couldn’t even swim. And her parents, still reeling from the loss of her sister, didn’t notice her struggles. Then Ben Bunker came along. The handsome son of a local fisherman, Ben not only noticed Becky, he connected with her. In Becky’s world, such a friendship between a vacationer and a year-round resident was taboo. But there was no denying their chemistry. Love quickly grew — then ended abruptly. In the new novel, “Islands of Time,” Becky returns to Maine to come to terms with the past. Two failed marriages later, she’s on a solitary mission to break free of the memories of her adolescence and move forward. 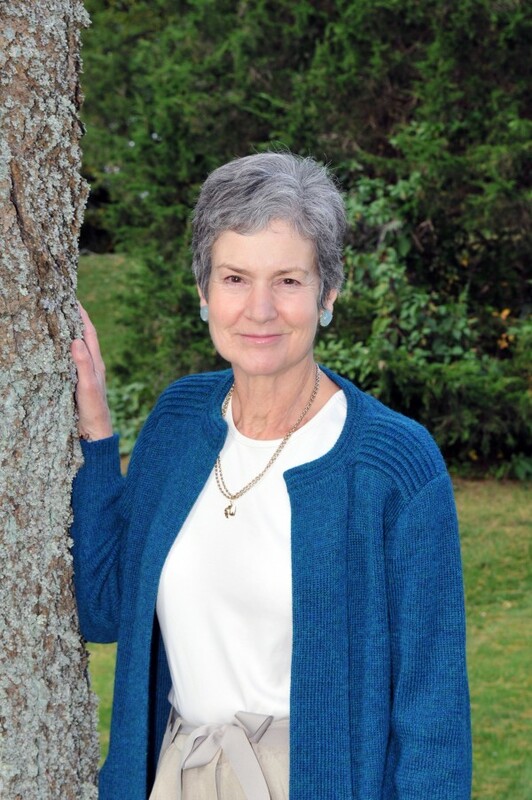 Penned by Barbara Kent Lawrence, a former Maine resident who treasures the state and its people, “Islands of Time” is a multilayered love story, rich in emotion and introspection. Lawrence moves effortlessly between the 1950s and the present day as Becky’s memories surface. Yet people of all ages can relate to Becky’s journey — her struggle to understand how past events, tragic and wonderful, have shaped her life, and how to move forward in the best way possible. But what really pulls readers along at a quick pace is the love story, which is first endearing and later, satisfyingly unconventional. Lawrence knows first hand what it’s like to be a part of the summer community in Maine. In 1948, Lawrence fell in love with Mount Desert Island as a summer kid, and in 1979, she became a “year-round summer person” when she moved to Maine with her family. She now lives in Massachusetts to be close to family, but spends as much time as possible on Mount Desert Island. “Islands in Time” is her first novel, though she has published nonfiction books on education and eating disorders, as well as the dissertation, “Working Memory: The Influence of Culture on Aspirations” about culture and education in Maine, which she said influenced aspects of the novel. In fact, Lawrence enjoyed creating fictional characters and watching them come to life for herself and for her readers. Books are available for purchase online at www.barbaralawrence.com and at several local bookstores including Sherman’s Maine Books & Stationery in Bar Harbor, The Naturalist’s Notebook in Seal Harbor, Maine Coast Book Shop & Cafe in Damariscotta, Gulf of Maine Books in Brunswick, Granite Hall Store in Round Pond and Blue Hill Books in Blue Hill. “Hidden History of Bangor: From Lumbering Days to the Progressive Era,” by Wayne E. Reilly, June 2013, History Press, 160 pages, paperback, $19.99. No matter how exciting, intriguing or significant, some stories are simply lost to time, buried in dusty tomes or never properly written about altogether. In the new book, “Hidden History of Bangor,” Maine author and BDN columnist Wayne E. Reilly unearths some of Bangor’s buried stories. This collection of little-known Bangor events, published by The History Press, includes Bangor’s first auto fatality, a gas explosion that left a 30-foot crater in the middle of downtown, and the city’s 1903 Liquor War. It could easily be argued that there’s no one more qualified to dig up and present these stories than Reilly, who during the past 10 years has written hundreds of columns for the BDN based on events found in the city’s century-old newspapers, as well as many freelance stories for Down East, Maine Times and other publications. For information, visit www.historypress.net. “Peas, Beans & Corn,” by Jennifer Wixson, June 2013, White Wave, 300 pages, paperback, $16.95. In the small town of Sovereign, Maine, with a population of 1,048, each and every person brings something to the table, figuratively and literally (community meals are frequent). So when local hero Bruce Gilpin returns to town after four tours of duty in Afghanistan and three tours in Iraq, everyone in town seems to have plans for his future. But everything changes for 35-year-old Bruce when he meets the beautiful Amber Johnson, a newcomer who is already fitting into the friendly community as she helps her mother run an organic egg business at a local farm. Thirteen years younger than Bruce, Amber at once seems off limits, but try as he might, he can’t stop thinking about her. To complicate matters, his loving parents want to see him matched up with a local woman, Trudy. And Amber’s mother is scheming to match her up with a Boston lawyer who has rented a cabin in town for a little winter rustication. See how this small-town saga unfolds in “Peas, Beans & Corn,” the second installment in the Sovereign Series and sequel to the 2012 novel “Hens and Chickens.” In this recently published book, author Jennifer Wixson of Troy, Maine, offers readers a unique blend of Maine history and romantic fiction. The unconventional love story is woven into a plot that explores aspects of Maine’s farming past and connects it to the modern movement to buy local food. For information, visit www.thesovereignseries.com. “The Last of the Doughboys: The Forgotten Generation and their Forgotten World War,” by Richard Rubin, May 2013, Houghton Mifflin Harcourt, 518 pages, hardcover, $28. In 2003, 85 years after the Armistice, Richard Rubin embarked on a decade-long journey to find living American veterans of World War I. He found dozens, aged 101-113, and asked for their stories. All of his interviewees are now gone, but their stories live on in “The Last of the Doughboys.” In the 518-page book, Rubin not only echoes the voices of forgotten soldiers, he brings to life the world in which they fought to live. Rubin splits his time between New York and Maine, and is the author of the best-selling “Confederacy of Silence.” For information, visit www.richardrubinonline.com. “Nic and Nellie,” by Astrid Sheckels, June 2013, Islandport Press, 32 pages, hardcover, $17.95. In this stunning children’s book, written for ages 5-10, award-winning artist Astrid Sheckels brings readers on a New England adventure with a young girl named Nic and her devoted dog, Nellie. Nic is excited to spend the entire summer with her grandparents on a small New England island, but when the time comes, she quickly becomes homesick and lonely — a problem many children struggle with when first traveling away from home. Through gorgeous watercolor scenes, follow Nic and Nellie’s journey. It isn’t long before smiles replace tears, and Nic is discovering the natural beauty of the island with Nellie and newfound friends. Astrid Sheckels of Greenfield, Mass., has also illustrated the award-winning titles “The Scallop Christmas” and “The Fish House Door,” both published by Maine’s Islandport Press, as well as “Hope Somewhere in America.” She has also won awards for her fine art. This is her first book as both author and illustrator. “Death of a Dyer,” by Eleanor Kuhns, June 2013, Minotaur Books, hardcover, $29.95, ebook, $11.99. Turn back time to 1796 in “Death of a Dyer,” a murder mystery set on a Maine farm. Revolutionary War veteran and widower Will Rees is just settling into life with his teenage son, David, and housekeeper, Lydia, when a visitor brings news of an old friend’s murder. Asked to look into the circumstances surrounding the death, Rees can’t refuse. The suspense builds as Rees turns from one person to the next in the search for answers. This new novel, written by Eleanor Kuhns, is the sequel to “A Simple Murder,” 2011 winner of the Mystery Writers of America First Crime Novel Award. Kuhn lives in New York and is currently the assistant director at the Goshen Public Library in Orange County. For information, visit http://us.macmillan.com/author/eleanorkuhns. “Ultimate Acadia: 50 Reasons to Visit Maine’s National Park,” by Virginia M. Wright, photography by Mark Fleming, May 2013, Down East Books, 144 pages, hardcover, $15.99. Sea caves, secret beaches and bald mountains — these are just three of the 50 reasons to visit Acadia National Park, according to Virginia M. Wright, senior writer at Down East magazine and books, in her new book “Acadia: 50 Reasons to Visit Maine’s National Park.” Even those intimately familiar with Acadia will likely learn a few new things from this beautiful book, which is filled with vivid color photographs by Mark Fleming of Portland. For information, visit downeast.com, virginiamwright.com and www.markflemingphoto.com. “Connecting: 80 Surefire Ways to Get What You Say Understood,” by Walter St. John, May 2013, RoseDog Books, 242 pages, paperback, $21. Dr. Walter St. John of Bangor has conducted communications workshops through the U.S. and Canada. Now retired, he’s offering the knowledge he gathered from a lifelong interest in interpersonal communications in a new book, “Connecting: 80 Surefire Ways to Get What You Say Understood.” The title says it all. If you’re having a difficult time communicating to others, this book may very well hold the answer. St. John began his career in public education as a teacher, counselor, coach and administrator. Next, he was a college professor and administrator with three state universities. He completed his career in management for the Hershey Foods Corporation and later as the president of the Management Communications Institute. For information, visit www.rosedogbookstore.com. “Scenic Maine Road Trips,” by Dan Tobyne, June 2013, Down East, 160 pages, hardcover, $22.99. Maine is home to one of the oldest scenic byway programs in the country, which showcases the state’s diverse landscape, dotted with small towns and filled with natural beauty that can seldom be captured in photographs or words. Nevertheless, longtime photographer Dan Tobyne gives it a shot in the book “Scenic Maine Road Trips,” a hardcover guide recently published by Down East. The book includes stunning color photographs, maps and informative text that will help you navigate the state’s winding roads from the rugged coastline to the northern forest. Tobyne lives in South Hamilton, Mass., and has been studying photography for more than 40 years. Maine residents might know his work from being featured in “Thoreau’s Maine Woods.” For information, visit downeast.com. “Events,” by Robert D. Tweedie, 2013, 163 pages, paperback, $19.95. As we grow older, we collect stories, events in our life worth remembering and relating to others. But too often, these stories simply remain in our minds, where often they fade from memory altogether. In an effort to share his stories with others, Robert Tweedie, 78, of Westfield has self published the book “Events,” a compilation of life stories that include memories of Aroostook County farm life; stories told by Tweedie’s Scottish ancestors; the tale of a homeless boy who becomes Indian Chief Big Eagle; and a summary of a 1950s road trip to California that Tweedie took with his cousin. To purchase the book, send an email to Tweedie at bobtweedie1@aol.com or a letter to 21 Tweedie Road, Westfield, Maine, 04787.